The first Midwest Family History Expo has come and gone...too quickly. The Expo truly was a whirlwind of activity, with 110 educational sessions to choose from and 22 exhibitors to visit, it couldn't have been anything else. I spent my days running from session to session, visiting the exhibit hall during breaks and getting to know the other Geneabloggers in attendance. Both days a small group of bloggers spent the evening together, over dinner, sharing our experiences and reflecting on our individual takeaways. The Expo provided an excellent opportunity for learning and networking for all. The classes offered varied by country, heritage, technology and style. I did come away with a common theme from everyone of the speakers...focus. We must focus on our research if we truly want to be genealogists and not simply name collectors. We can not truly know our ancestor unless we know how they lived, where they lived and what the world was like that they lived in. Learning the geography, political climate and their economic situation helps us to see our ancestor's world more clearly. This fuller picture will provide more depth and dimension to our family free, which will be more rewarding that just looking at a list of names and dates on a chart. I will be posting in the future some key points that I am the most excited about and plan to put into play in my research. Hopefully, I will also be posting about success I achieved as a result of implementing these new techniques. On the networking front, I enjoyed meeting the other bloggers, some of the speakers and the Expo team. All were wonderful to talk with, there were no strangers at the Expo. Everyone had an instant connection and were very enthusiastic to answer questions and share their experiences. I look forward to continuing our conversations on FaceBook, Twitter, our blogs and catching up at the Expo in 2011! The variety of exhibitors to visit was good ranging from libraries and archives to software, books, scrapbooking and genealogy societies, there was something for everyone. As a book lover and scrapbooker, you can guess which vendors I gravitated to. My favorites were EchoRoad and Heritage Makers both have beautiful products and I just might have spent a few $$$ with them. If an Expo is going to be within driving distance of your home, I highly recommend attending. They are very affordable and you will more than get your money's worth. 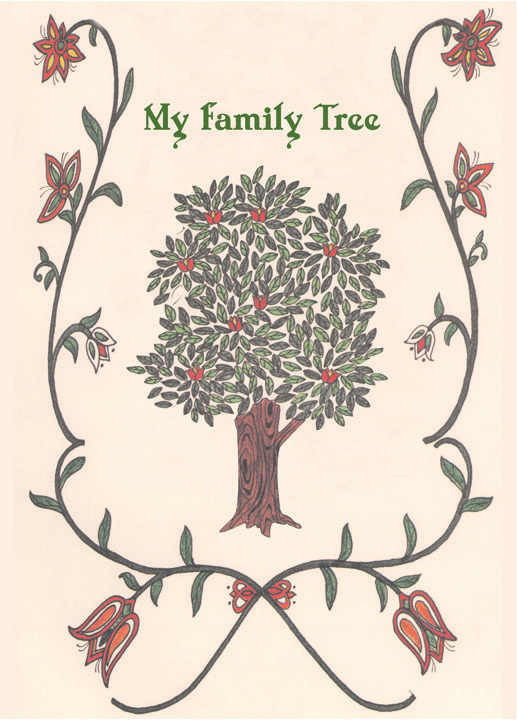 The entire experience will help to further your search for the ancestors needed to fill your family tree. Can't wait to see what you blog hun. This has already been very interesting. Thank you so much for sharing! Excellent recap! Just might have to make a trip to KC next year. Looking forward to reading more! It was such a great pleasure to get to know you and the other bloggers in "real life", Jenna. I keep talking about the great time we had, not to mention how much new information I was able to take away from the Expo. I hope we can get together again for a research day in Kansas City one of these days.